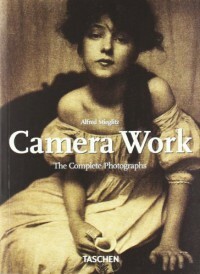 Alfred Stieglitz is an important figure in the History of Photography, both as photographer, gallerist, curator and editor. He heavily influenced the development of American photography and helped promote European artists, such as Picasso and Matisse, in the USA, and the book's essay portrays him well. You can see Stieglitz's taste evolving as the images (and the issues of Camera Work they appeared in) are shown in chronological order. Some reproductions look a bit dark and muddy, though I don't know enough about the images to be able to compare them to the originals. Regardless, there are a few beautiful gems among the many photographs in the book, and this will make a welcome addition to any Photography enthusiast's library.